I caught this girl – in a Topshop jacket, Acquaverde jeans, vintage shirt and Old Navy shoes – outside of Smashbox Studios while walking home from Trader Joe’s in West Hollywood. 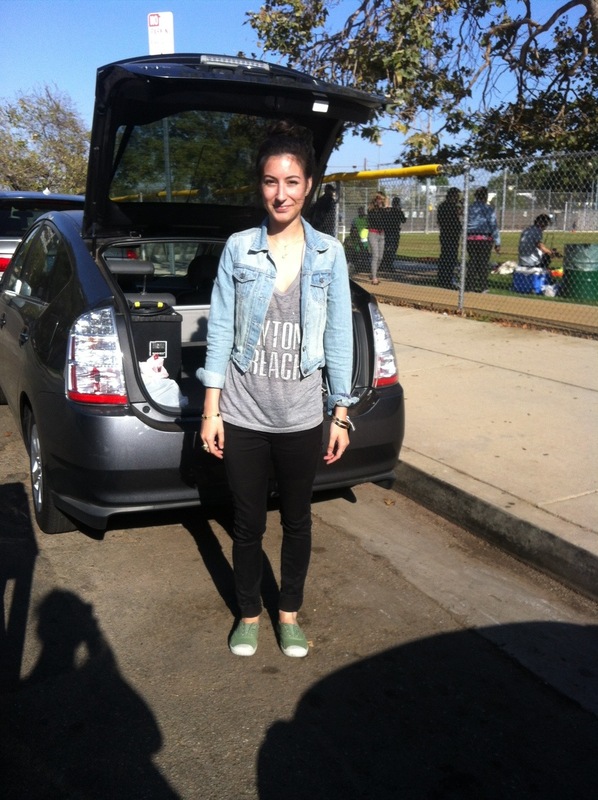 This entry was posted on Tuesday, June 26th, 2012 at 1:38 pm	and tagged with Acquaverde, Canadian Tuxedo, Denim, Denim on Denim, double denim, Fashion, Jeans, Los Angeles, Smashbox Studios, Top Shop, Topshop, Trader Joe's, Vintage, West Hollywood and posted in In The Wild. You can follow any responses to this entry through the RSS 2.0 feed.